Christmas might be for kids but I sure have my share of presents for the holiday season. Besides the stuff that I bought for myself this Christmas, the real surprise was the gifts from my dear hubby. There's actually a funny story behind all our gift-givings. A week before Christmas, I felt so sad and disappointed because I never saw Jeff shopping gifts for me. For two weeks, we went to the mall together and grab gifts for us and for family and friends but I never saw him carry shopping bags so I assumed that he didn't shop at all. I told him that I was disappointed with him and emotionally abuse him one night in bed because of this reason. He didn't say a word. I mean he could have pointed out that he got me something weeks before but he was just too sneaky and very good in keeping surprises but he chose to stay quiet, just let me pour out my baseless accusations and offer a hanky to wipe away my tears. At the back of his mind he thought, I would be greatly surprised when Christmas comes. Yes, he's right! I never thought he got this GUESS purse that I was eyeing for weeks. The best part of all is the WII Sports game console that he gave me. I get to play Super Mario Galaxy. There are stages in the game that's hard to figure out but it was fun though. I love my WII. The remote controller was the best part of it since it's different and easy to use. The WII itself is small so I just set it below our tv stand so I don't have to move it every now and then. Thanks to My Loving Santa for granting all my wishes this Christmas. My nephew, Brennan is one of the lucky kids in this world that's showered with love and gifts on Christmas. My sister and BIL gave him not just one but dozens of toys on this special day. When me and sister were kids, we were never this fortunate when it comes to receiving gifts on special occasions. We didn't take it against our parents though 'coz we understand that our parents' priority is to have food on the table. That's why my sister wants her son to enjoy the things that we were not given the chance to enjoy when we were still kids. One lucky kid! He got a teddy bear which he specifically requests from Santa, a RC dinosaur, a RC helicopter, a toy laptop, a dancing Wubbzy, a Cars-inspired study table, a RC tank, and educational books which he just tossed in the corner after opening it, hehehe. Christmas is sure happy for Bren because Santa came and left gifts for him. As I've shared in my previous posts, we spent our Christmas at my sister's place in Illinois. We had a great time despite the bad weather all throughout the drive up north. Besides the food, opening up gifts on Christmas Day is what makes us all excited. They say Christmas is for kids, so my sister and her husband made sure that Brennan, my nephew will get a lot of toys on Christmas Day. He only asked for a big teddy bear though, but they gave me him that and more and I can really see the excitement on his eyes when he was opening them. The photo below is taken at Jingle's (sis) house. One more day to go and 2008 will be over. This year has been a very good year for me, Jeff and my family. There’s so much to be thankful for. I welcome 2009 with excitement and anticipation since we’re looking forward to a great big event that’s going to happen by the end of 2009, our church wedding in the Philippines. The countdown to the big day begins. I know it’s so soon to think about the stuff that I’m going to bring back home but I’m sure, it’s going to be a whole lot. I’m thinking of putting most of my stuff and Christmas presents for family and friends in a Balikbayan box but I’m still gonna be needing durable travel luggages for me and Jeff. Zero Halliburton comes to mind. Their stuff are a bit pricey but the quality is excellent so I think it’s gonna be worth it. Oops... Before you confuse yourself of what I'm trying to convey, I am referring to the scent that I am wearing right now. 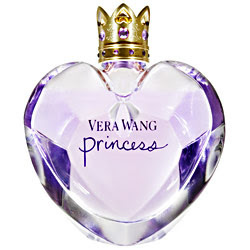 My perfume package arrived today and I love the scent of Vera Wang Princess. To be honest, this is my first ever perfume here in the U.S. I don't go gaga over expensive perfumes so I usually just settle for Victoria Secret and Bath and Body Works products. But I ordered 2 perfumes for my mom that I'm going to send in a Balikbayan box so when I told her that I just use cheap stuff but I bought expensive perfumes for her, she told me to buy at least one for myself, hehe! So here I am, enjoying my first ever Vera Wang experience. I don't like strong perfume scents. I am sensitive to overly scented perfumes so I carefully choose Vera Wang because of it's moderate scent for casual use. I'm lovin' it! We’re driving to Illinois first thing tomorrow morning. There’s been a forecast of 2-4 inches of snow on Tuesday and Wednesday so I’m a little worried of our safety on the road during these days. It would take us approximately 14 hours to drive up there and if we won’t get lucky, we might still be on the road when ice and snow accumulates. Duh! We’ll just stay in a hotel or something if the weather would be too much for Jeff to handle. I’m excited to shop at an outlet store in Illinois on our way home. It’s Christmas time so I’m pretty certain, branded stuff are on sale. With my job, I get to talk to almost everyone that works with the bank who needs computer assistance. Some issues are pretty much easy to fix while others aren’t, but we still need to find solution for their computer problems since it could hamper their work efforts if they could not get into their PCs. One branch manager called to let us know that her hard drive had crashed on her. Imagine her frustration when she realized she could not get into the files and she would most likely lose all the important documents on her computer. 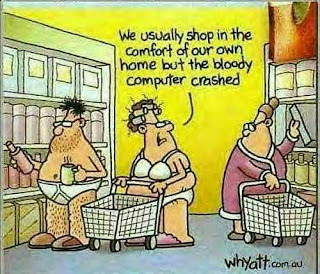 Good thing, she had a backup of her files saved on an external hard drive. That's a pretty smart thing to do. I haven't written any updates on my blog lately. I just did not feel motivated to write anything but actually, there's been a lot of good things to write about. Over the weekend, Jeff and I had a movie date. Have you heard about the movie "Twilight?" You have probably watched it yourself as well. I was hoping to read the book first before watching the movie but I've read from a blog that it's ok to watch the movie even before reading the book so we went ahead and give it a shot. We liked it! I didn't think Jeff would but yes, he did like it too. He went inside the theatre not knowing the plot of the movie so he was a bit surprised when he realized that it's about a lovestory of a vampire and a mortal with its complications. They say it's still good to read the book so we're gonna get a copy of it as soon as it'll be available in bookstores again. This will be our next Harry Potter book reading bonding. Yes, you've read it right! We've read the whole HP series together before going to bed. It seems like Twilight series would be our next book bonding session. Alright, time for work updates...We had our Christmas Potluck today. We have food and everything but it's not quite the same as what we used to do back in the Philippines. No exchanging of gifts, no games, no program, no nothing, hahahaha! We simply had lunch and that's it. The food was yummy though. There was a dessert there that I really like. Too bad I didn't know the name of it. But it's kinda like an Orange dessert. I love it! Now, for winter weather updates... We had an ice storm since last night. I was surprised to see Jeff in our parking lot when I get off from work last night. He was worried about me because he knew that I am inexperienced when it comes to driving on ice so he went to pick me up at work. Wow, my ever thoughtful husband was in action again! The weather didn't get better this morning but at least they put sands and salt on the roads to melt the ice and create more tire traction. I was late at work for the first time but I was not the least bothered about it. My co-worker didn't even get there until it was around 10:30. You can only see few vehicles on the streets. This is like one of those typhoon days in the PI, when classes are suspended and most people just chose to stay at home than work or have fun. I asked my boss if I could leave an hour early today so as not to drive home in the dark on a very icy weather. He was ok with it and I'm thankful. I hope it's going to be a better day tomorrow. Hmmm. I can smell the steak from here. Hubby is broiling some steaks for dinner. I gotta end this and eat dinner now. I am famished!!! Alright, I’m just curious here. Most of the bloggers are also Entrecard droppers. I’m sure each one of us has different dropping techniques. As for me, I don’t push myself to 300 drops daily but I diligently reciprocate my every day droppers. If I still have the time and energy, I would even reciprocate my droppers from 2-3 days back. How about you? Do you follow an EC regular dropping list? I was seriously considering of doing that but I realize it will be unfair to my first time droppers if I only stick to my pre-made list. I know that some of them could just be transient droppers and there’s a big chance that I won’t be able to see them back in my blog, but I also realize that every single dropper is valuable and they should be reciprocated whether they are regulars or newbies. I want to be an effective EC dropper so I welcome dropping tips and suggestions that would make my blogging and dropping experience worthwhile. I saw this tag on a couple of blogs, but I am not so wild of joining because I know I'd look disgusting after a long day at work. But I just could not say no to my good friend, Vikki Lyn, that's why here I am sharing to all of my readers the real me on my jammies while blogging. Thanks for this tag, my dear. I'm gonna tag Lou, Joanne, Juliana, Mystique, Monica, Wena, and Hazel. 1) Take a picture of yourself right NOW!. We were devastated when we learned that our grandmother was diagnosed of stage II breast cancer a couple of years back. 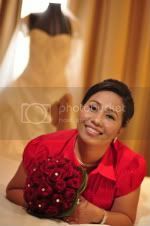 She has lived all her life in Bohol but she chose to stay with us back in Cebu when she had her treatments. I saw with my two eyes how difficult it was for her dealing with the chemotherapy but with God’s help, she made it through the storm. In the first quarter of 2006, I, on the other hand, found out that I had a lump on my left breast. The doctor told me that I need to undergo a biopsy procedure to check if the lump is malignant or not. Oh boy, I broke into tears inside the clinic’s ladies room. We have breast cancer history in our family and I was just so afraid that my biopsy will turn out to be malignant. I had it removed through an out-patient minor surgery and I was thankful that it was just benign. Medical researchers continue to look for the cure for breast cancer. Cryo-Cell recently announced research partnership with the National Institutes of Health (NIH) in researching the potential treatment of breast cancer using stem cells collected from menstrual blood. Stem cells have already been used in Treating Diseases, including numerous types of malignancies, anemia's, inherited metabolic disorders and deficiencies of the immune system. Cryo-Cell’s research partnership with the NIH is a major step towards discovering potential breast cancer therapy. Do you need best and honest critiques for Sports Betting systems? ReviewKings.com delivers that and more. It is a product review expert that helps you find in an efficient manner the products and services you are looking for. There had been times when we’re quite unsure what kind of product or service we’re going to settle for. Reading product reviews sheds us some light on most important aspects of that particular product or services so it’s necessary to trust only the experts. I had a very stressful day at work. One of our branches in Little Rock had to move to a bigger and nicer building and last weekend, our network guys moved all the servers to the new building. It sure does sound easy but the truth is, it's such a pain because they will have to change IP and all that technicalities. I wasn't part of the team who helped with the move last weekend but I sure was bombarded with calls today about no internet connection, no network connection, not been able to print, not been able to get into their computers and all those computer problems with the users that were moving. I would not have minded it if I have a partner to help me fix their issues but the thing is he was also installing some scanners for our Credit Department so practically, I was left on my own to fix the mess in the new branch. I had a headache after the shift and I didn't have any energy to make dinner at all tonight. In times like this, Jeff usually takes charge with the dinner but he's also been busy and exhausted from work so the ending, we'll just go out and drive to KFC for dinner. I wonder how will I lose weight if we don't refrain from eating out a lot, hahahaha! It's not even halfway through wintertime, but Jeff and I had already been making plans for our next summer vacation. Now that we’re both working, it seems a little bit difficult to enjoy a long stretch of vacation. While he has quite a number of vacation hours, I, on the other hand, have limited number of vacation days so it’s necessary for us to plan ahead of time for every vacation we’d like to take. We may not have kids yet, but that does not stop us from going to amusement and water theme parks to unwind. As a matter of fact, the very first week that I got here, we went to an amusement park in Illinois. We like to visit other states and we’ve never had the chance to go to the East Coast yet, so probably next year that would be our next trip and definitely New Jersey is one of the places that we’re going to visit. A Jersey Shore beach Vacation sure sounds excellent, don’t it? I’ve actually read good reviews from other blogs about Morey’s Piers in New Jersey. I checked their web site and guess what I found! They are currently running its annual holiday sale from December 1st to January 9th and you can get as much as 40% savings on a Season Pass to their water parks. Isn’t it amazing? Now, finding a place to stay and dine is not a problem at all. Jersey Shore and Wildwood hotels is just one of the places that you could stay for your Jersey vacation. I can’t wait to be on the beach again! Hubby turned a year older last Thursday. He didn't think his birthday was a big deal, he worked that day and all that. But for me, his birthday is special so I didn't go to work on that day and cooked something special to surprise him. I also wanted to have a birthday cake for him but since I don't know how to bake a cake, I just ordered it from the grocery store. It was good but of course, it pales in comparison to the strawberry-covered cake he baked for me on my birthday because that was full of labor of love. Unlike me, hubby is not materialistic, hehehe, so instead of buying him fancy stuff for his day, I chose to give him stuff that he could use on this very cold season. I gave him some jammies, sweater, windbreaker and some flannel long-sleeved shirts. He liked the gifts because it's practical and functional. We had a very special evening on his birthday and it felt wonderful that once more I was able to put a very big smile on his face. This wonderful man that I married is such a very simple guy and he always appreciates the thought and effort that I've put forth in our relationship more than just the material things. I love my hubby so much and I thank God each day for the opportunity to share this love with him every day of our lives. I think I said something funny that made him giggle and laugh hard like this. I love it!!! C'mon, it's fine, you don't have to hide your real age, babe! Jeff on his 37th birthday. He's not wild about it, hahaha! Are you trying to model the jammies and the sweater or your cute b**t? Growing old is a reality of life that we have to face. When our loved ones reach old age, they need us one way or another. How do we show that we care? Do we hire caregivers and nurses to be with them? Or do we take care of them personally? Or do we entrust them to a senior placement? Perhaps all of these are good options depending on the situation that we’re in. Back in my country where family and relatives tend to live so close with one another, having some family member take care of our aging loved ones seems to be the viable option. But in a fast-paced, competitive and huge country like the U.S., where everyone needs to work to make both ends meet, and where you sometimes need to travel at least 2 hours to visit a family member, entrusting your oldies to the hands of the professionals and experts in home care is the best option. This is not going to be an easy time for you and your family, so it’s rather important to make the right choices. You don’t want to settle for anything less since the welfare of your loved ones is at stake. You want to give them the best so study your options, start your senior living search. As you have probably noticed, my blog has a different look right now. Ivy, who has authored a couple of blogs including The Designer's Chic, is the beautiful person behind the makeover. My hat's off to her for her undeniably creative hands and mind. I am so happy with the way my layout had turned out. It reflects my personality and I simply loved the way she matches blue with pink. Thanks so much, Ivy! Inevitably, as a result of the radical overhaul, the links to my list of blogger friends were lost. I did not make it as HTML codes before, and so they were completely removed when I changed my layout. My apologies to my faithful readers and friends. Please bear with me, I'll eventually add you all back to my blogroll. I'd still be your constant reader, visitor and EC dropper. 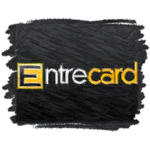 Now, as for my Entrecard Logo, yes, I had it redesigned as well. It no longer features my pretty face, hehehe. My current EC logo aptly describes my idea of a sweet haven which is a beach. I hope my droppers will recognize me and still continue to give their generous drops on my blog. Cheers to all of us. Happy blogging!!! It has been a drag getting out of bed lately. While I was never been late for work, but my time logs shows that I'm logged in just in the nick of time. I always never get the chance to eat breakfast anymore because I don't have enough time to do it. The reason...I'd hit snooze a couple of times before I manage to bring myself up. I blame it on the cold weather. It just feels so nice to close your eyes, curl up beneath the sheets, and wish the world would go away. I miss those times that I don't have work for over a year. But thinking about how boring and depressing those days were gives me enough reason to continue working. While I did enjoy playing the role of a plain housewife for the most part, I began to miss the interaction with others that you get in a work environment. Ironic as it may seem, but now that I am busy with work, I am missing the old lazy days when I can just sit around the house, watch tv and use the computer, feeling no pressure at all to wake up early and deal with people on a day to day basis. Yeah, I know what you could be thinking right now, I could not seem to make up my mind. Sometimes, I'd ask myself, Is it probably because of the December weather?....Or am I just being a lazy sloth. We spent Thanksgiving at my DIL's family and relatives which is 2 hours away from home. We went there last year too so the whole family was expecting us to be there. I had some fun spending time with Jeff and his relatives. They were really nice especially the host of the dinner. Of course, I am the only Filipina there but I didn't feel left out. They gave us a warm welcome and most of all, the food was great. I didn't eat a lot though but I love the Turkey and the pumpkin pie which is really my favorite. Too bad I was not able to take pictures while we were celebrating with them but Jeff took a couple of quick shots of me before we left the house. Happy Thanksgiving to All!!! The good news does not end there. For a limited time only, you would get an extra $20 off on Nikon Action Extreme ATB 10x50 Binoculars! It’s a high-quality, rugged binoculars for you or as a gift for your loved ones. Don’t take just my word for it, go and visit their web site today. I dug out old photos and I saw our pictures two years ago when Jeff and I visited Baguio City. I thought I might share this in my blog. So many things have happened in Baguio, the fun was just so hard to forget, the picturesque views of the city is worth sharing and that memorable day of Jeff's marriage proposal to me was really worth reminiscing. I love the place so much. We went there in December so the weather was perfect if you want to get rid of the heat of Cebu City. The famous summer residence of the President of the Philippines, "The Mansion"